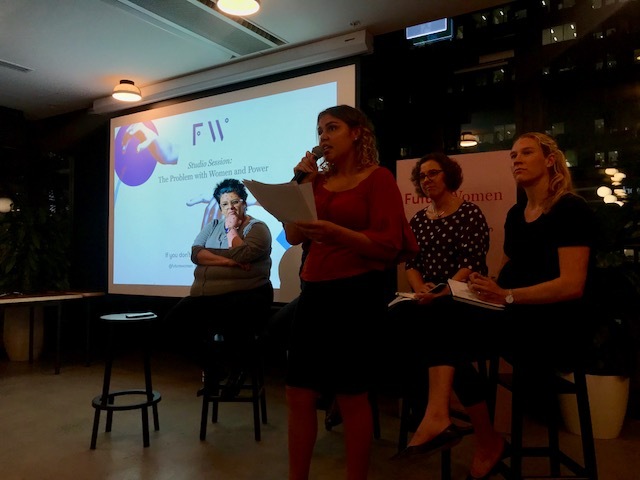 At the inaugural Future Women Studio Session, a panel discussion led by FW editor-at-large Jamila Rizvi, AIEF Alum Paula-Rose Bassett was honoured to deliver the Acknowledgement of Country and speak about the importance of female empowerment. I would like to acknowledge and pay my respects to the Gadigal people of the Eora nation and the Elders past and present on which this meeting takes place. I would also like to recognise and highlight the survival of the Indigenous culture and the strength, resilience and sovereignty of my people still evident today. 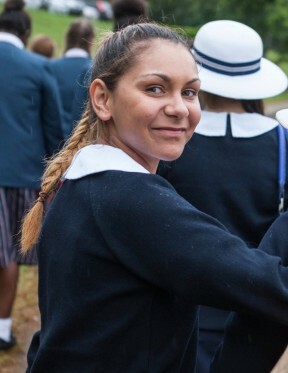 My name is Paula-Rose Bassett and I am a proud Wakka Wakka, Wiradjuri and Bundjalung woman. I am an AIEF Alumni from the graduating class of 2016, and on that note, I’d like to give a big thank you to the AIEF team for supporting me throughout my high school years and beyond. 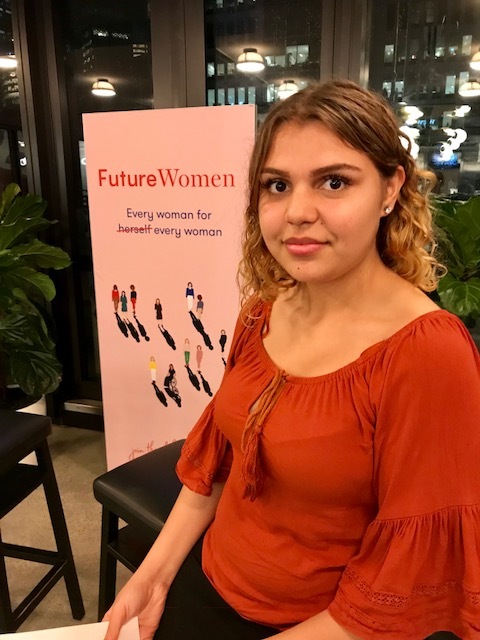 It is such a privilege to have this ongoing support from an organisation that strives to provide a platform for Indigenous students, so that we can achieve the best of our abilities in whatever field we choose and whatever career path we endeavour into. Just to share a little bit of my backstory, my mother’s tribes are Wiradjuri and Bundjalung, however, she was raised in the heart of Redfern, on Gadigal country. From a very young age she instilled in me the importance of survival, resilience and culture. She constantly described these three concepts as essential attributes which can be most powerful when filtered through education. With the intense prevalence of drugs, alcohol and abuse in Redfern during the 90s, it was inevitable that I would be involved with child protective services. Unlike some, after a long court battle I was blessed to be put in the care and custody of my paternal grandmother. She was raised in Cherbourg, an Aboriginal mission in Queensland on Wakka Wakka Country. She was another strong woman in my life, who certainly helped shape me into the young resilient woman I am today. In 2013, when I was in Year 9, my mother passed away. It was this through this time of grief and sadness, I chose to look at the positives and remember what my mother always said. From that motivation, I convinced my grandmother to let me attend a private boarding school. With the help of AIEF, I received a scholarship from Year 10 onwards and finished my final year in school as boarding captain. I am now studying a double degree in Law and Social Work at the University of New South Wales and I aspire to be a practicing solicitor one day. I am so thankful to AIEF for helping me play a role in breaking stereotypes against my people and my family. I believe that the cycle of severe over-representation in the criminal justice system, over-representation of Indigenous children in the child protective sector and the large gaps between Indigenous and non-Indigenous people in housing and health, is soon to be dramatically reduced. The time for my people to step up and make a change is here, and I know this because it is reflective of all my amazing brothers and sisters that I have met through AIEF, as we all move from secondary school into higher education and into prosperous fields of the workforce. Consistent enthusiasm and encouragement for one another, made possible by AIEF and their never-ending support, has definitely been a central attribute that has encouraged me to chase my dreams and allowed me to be where I am today. 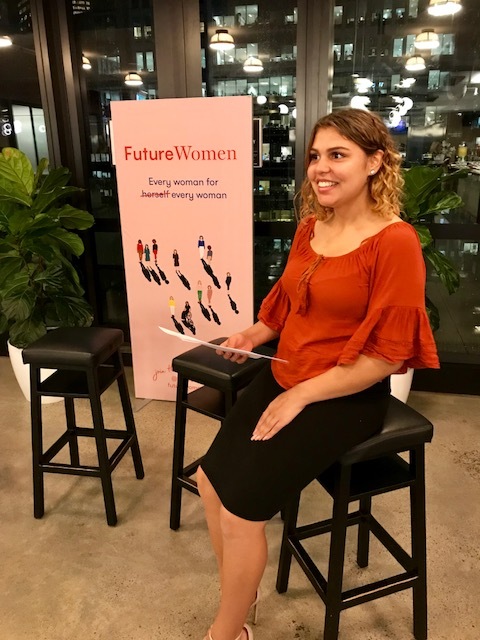 I just wanted to give a final thanks to Future Women for their support of AIEF. They have given me connections and friendships that I know will last forever. Mili May, a young woman I met through AIEF, who is studying law at UTS, is one of my closest friends today. We always message each other empowering and feminist things which I think is super important as we endeavour into the male dominated field of law. Sometimes, it might be a simple “Good luck with exams” text, or even a random, “Sis, I love you! I’m proud of you and I think you’re beautiful, awesome and amazing”. 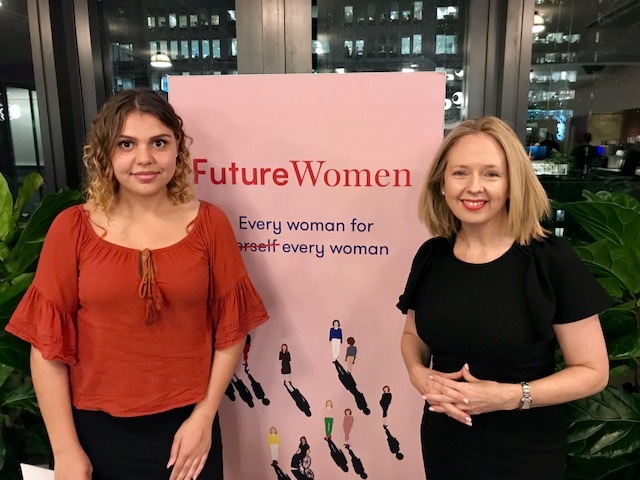 This definitely captures the essence of Future Women, a space committed to the success of women, to the advancement of women and, most importantly, to supporting women. Honestly, this is like my dream. I love the notion of empowerment embedded within the framework of Future Women. I’m all about empowering my sisters of all ages and nationalities, as I too believe the future is female. With Yindyamarra, a Gadigal word of respect, gentleness and kindness, I say Guwayu or see you later!